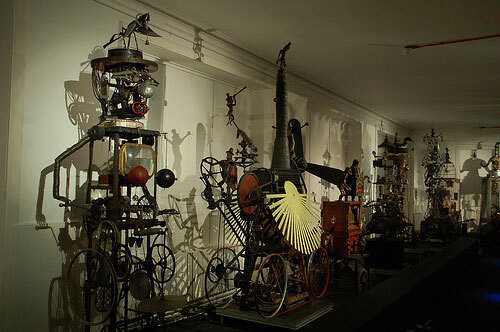 Sharmanka Kinetic Theatre opened their new permanent exhibition in Glasgow at the new Trongate 103 Centre last September. They have a daily programme of performances of their incredible machines, (prices from £4 per adult, and children are free). Sharmanka also do a lot of work with school groups, and other educational activities. There is also a fantastic Russian restaurant in the building, making a good community of Russian culture. If you visit on a Sunday make sure to book a table, and listen to the live music.